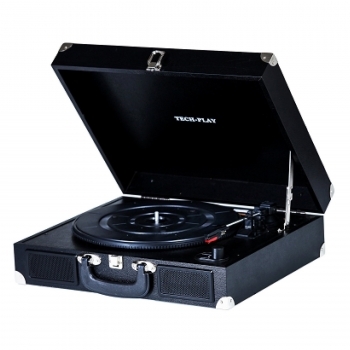 Take your music with you, with this portable Turntable. Powers on AC, USB or just insert "AA" batteries (not included). 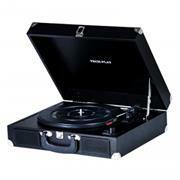 Auto return 3 speed Turntable. With built in speakers, also connects directly to your PC VIA USB port.